Spider-man is one of my favorite super heroes. And the original Toby McGuire Spider-man movies (okay, the first two anyway) are my favorite super hero films of all-time. But with a great track record comes great responsibility, as they say. And I went into the “Spider-man: Into the Spider-verse” movie with my spidey sense tingling with expectations. Would this movie be faithful to who Spider-man is, especially with a whole multiverse mashup to contend with? Would it live up to the standard set by the original films? And how could Miles Morales ever hope to live up to the original man behind the mask, Peter Parker? 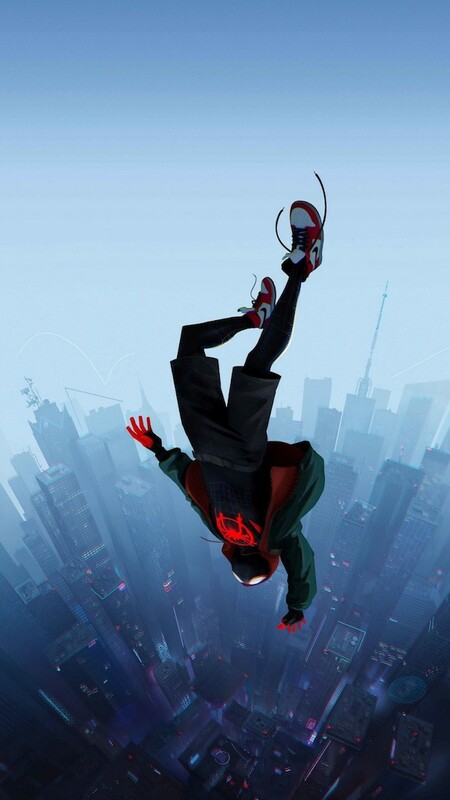 Hold onto your web lines, wall crawlers, because you’re about to swing into the Ultimate Spider-man: Into the Spider-verse review! 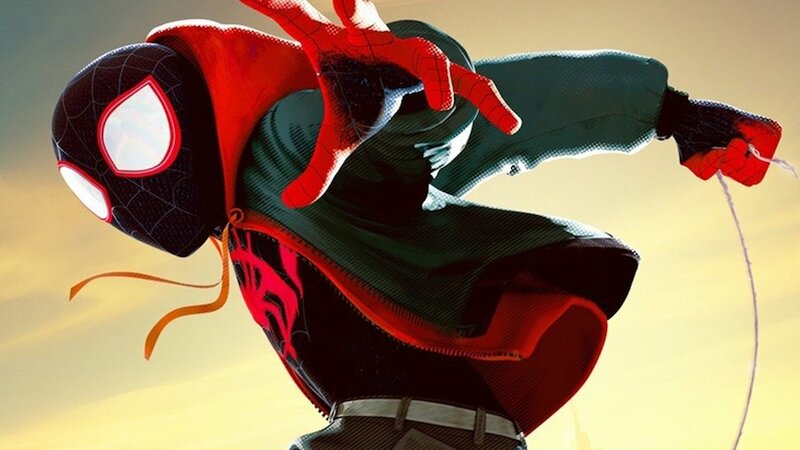 I’m not spoiling the plot by telling you that this movie is not just about the Amazing Spider-man or even Miles Morales (Ultimate Spider-man in the comics). That’s pretty clear from most of the marketing. Instead, due to the interference of some nefarious villains, Spider-men from different universes are thrown together in a Marvel mash-up of massive proportions. 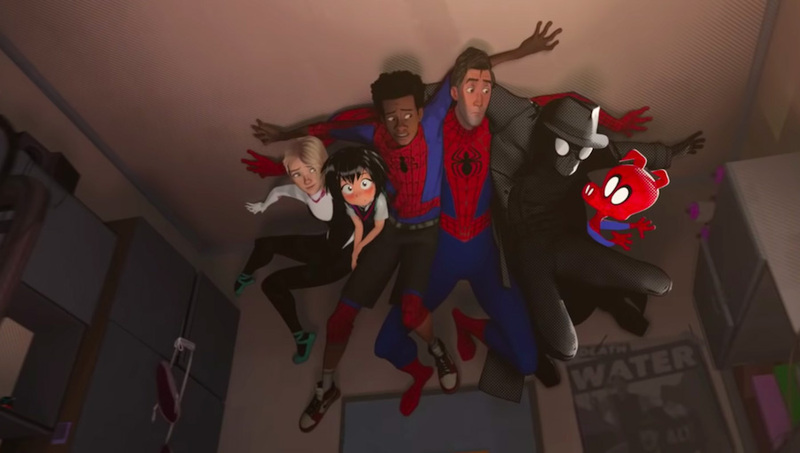 There is the original Spider-man, Spider-Gwen, Spider-Ham, Spider-man Noir, Peni Parker, and of course Miles Morales. Some of these alternative heroes come across as more compelling than others. Spider-Gwen feels more fleshed out and Spider-man Noir has most of the clever humor. But Miles Morales and Spider-man get the most screen time and really carry the story. The rest of the crew, as odd as they might seem in that picture, each earn a place in the story by the time its all over. That’s because, as different as they are on the outside, they all share the burden of what it’s like to be Spider-man. That journey, the journey of becoming and then being Spider-man comes through in a fresh way here. And as the story unfolds the characters onscreen invite the audience to almost become a vicarious seventh Spider-man in the script. Because, in a paradoxical way, by having so many Spider-men, Spidey’s unique struggles and experience become all the clearer. They become actually a metaphor for our own struggles. By the end, the movie is all but inviting us to take up the mask and face the villains who threaten our own individual worlds. It’s rare the cinema ever encourages anything nearly so worthy in us, and that alone would have been worth the price of admission. But there are many more webs this movie had up its sleeve to sling us and reel us in. Before I talk more about the story let me pause and talk about how utterly beautiful this movie is from an animation perspective. It is the best animated movie I have ever seen, bar none. It takes a little getting used to it at first, because this movie uses several different styles of animation. There are the comic book panels and effects, a sort of 3-D halo effect in some scenes, the more traditional cgi effects, a few nods to traditional, hand-drawn animation, and even some anime inspired scenes. It is so ambitious what they went for here, and the amazing thing is that they pulled it off flawlessly. There really is not a bad scene visually in the movie. And the diverse styles really fit the whole multi-verse backdrop the movie is trying to tell. But all that animation would have been wasted if the story was not up to par. Miles Morales is what makes this movie sling effortlessly through the streets of New York. He’s a hero it is so easy to root for. He’s authentic, he’s vulnerable, he cares about his family, about the other Spider-men, about the city under threat from King Pin and his cronies. And he struggles. A lot. Which makes you want to root for him all the more. My favorite scenes were the ones unpacking Miles’ relationship with his family, especially his father. We get to see two people who genuinely love each other trying to navigate some very rough waters and yet their relationship rises to the occasion with every new crashing wave. And beyond the inspirational story-line and wonderful relationships, this story represents a return to the wholesome nature of super heroes once again to the big screen. And that is so refreshing. As someone who grew up on super-hero stories, it’s nice to finally see Marvel make a movie not marred by decidedly un-heroic blasts of mindless profanity. A few minor missteps are the edgier version of Aunt May we get here. I would have preferred the genteel old lady from the classic comics. And J. Jonah Jameson’s presence is somewhat missed. But other than that, I can’t think of any other things I wished had been different. No, this is not a thrill-a-minute joyride. There are bajillion other super hero moves if you’re looking for that. But if you’re looking for an honest to goodness, seriously heroic tale with fabulous animation and even more fabulous characters, this is the super hero movie for you. Does it edge out the original two Spider-men movies for me as the best super-hero movies ever? Not quite. But it only just misses by a web strand. But as far as animated movies, this one easily soars past the tallest skyscraper out there. A great, great movie. And one that shows a lot of responsibility. You’ve convinced me, Mr. Edwardson. Looking forward to seeing this. And the film’s explanation for Spider-Dog or Spider-Pig or whatever that thing is. Yeah, Spider-Ham is not the greatest thing going in this movie. He’s mostly there for looney-tunes, type laughs. But if you think of him as representing a certain strain of cartoon (e.g. of the Saturday morning variety of yesteryear) and then recall how many young viewers might be watching this film I think he becomes more tolerable. In any case, Miles is the main focus, and he’s well worth the trip, even if Spider-Ham isn’t your cup of bacon. Hope you enjoy it!